I’ve been published in such outlets as The New York Times, New York Daily News, Real Simple, and Los Angeles Review of Books. I also authored “Being Biracial: Where Our Secret Worlds Collide: Educators’ Guide.” Visit my portfolio page for a full list of works. With a master’s degree in English literature and three years’ experience teaching the SAT, I provide individual and business clients impeccable editing services. Whether you’re writing a dissertation, an e-book, or non-profit report, I have the background and experience to polish your work. 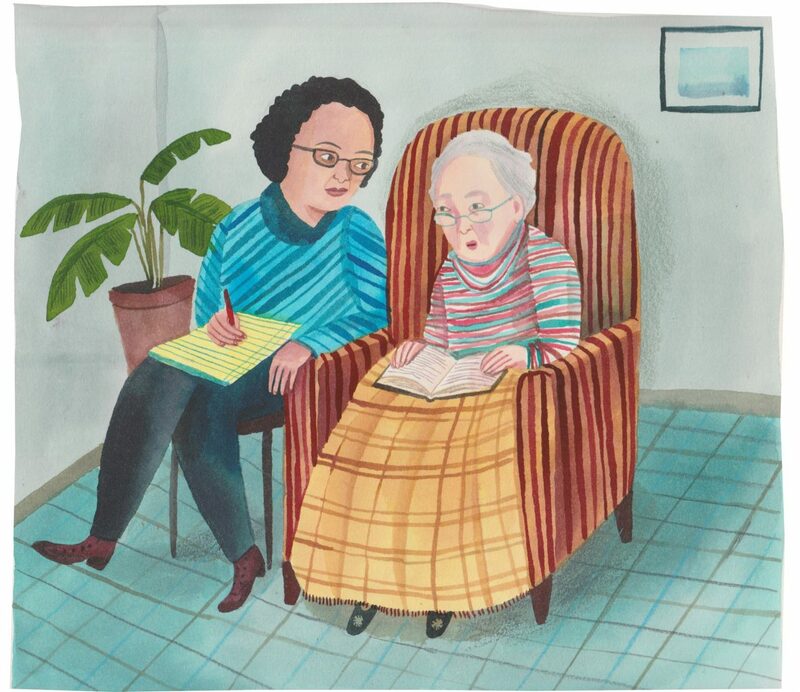 The illustration above is courtesy of the talented Giselle Potter, who created the image for my New York Times piece about my grandmother. Contact me for writing, editing, or just to say hi! I am just beginning to explore memoir writing. Shannon has helped me better express and refine my stories by pushing me to dig deeper and say things I was afraid to say. I’ve been thrilled with the results. Shannon has been a valuable resource for the Advancement Project California communications team. She is responsive and on point with her proofing and edits of projects large and small. We recommend her!